Uses buffs to strengthen allies as well as delivering his own powerful Physical Attacks. Create a swath of destruction, dealing Physical Damage and Stunning enemies in its path. Leap into action, improving all allies' Physical and Magic Attack as well as Attack Speed. 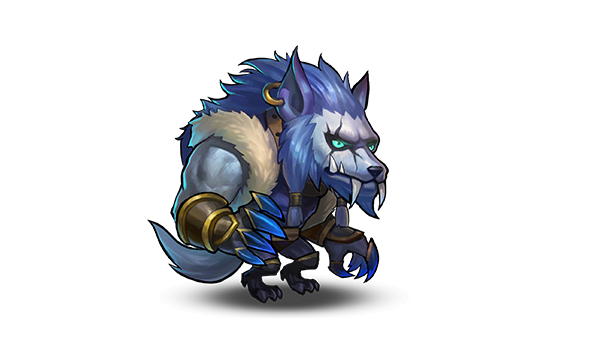 Unleash a ghostly howl, dealing AOE Physical Damage and reducing enemy Armor. 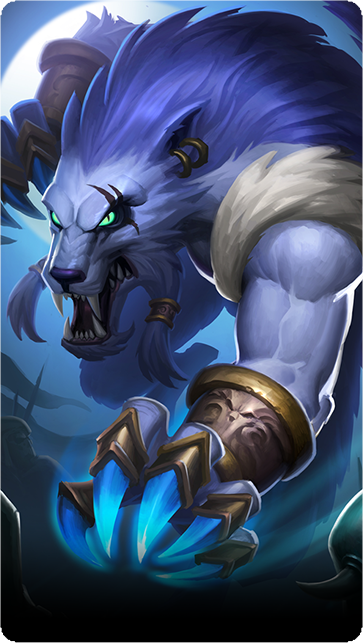 Grant your allies the prowess of a pack of wolves, increasing their Lifesteal.